Story - 5: Anyone that has ever lost sight of a loved one knows fear. Superman's fear is genuine and something everyone no matter their walk of life feels. 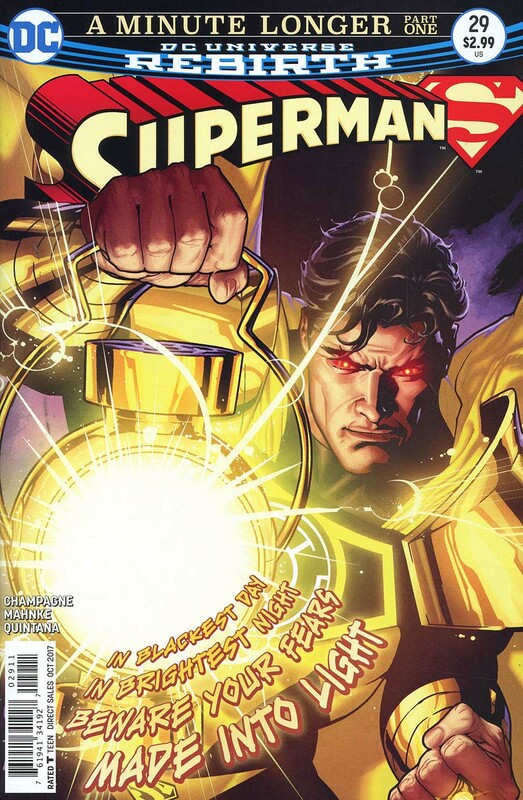 This story was darker than usual and a story not usually something the creative team for the Man of Steel ever really deals with and for that reason alone it deserves your attention. The twists were spoilt a little by the cover but this was still a brilliant read. Art - 5: Doug Mahnke, Jaime Mendoza, Scott Hanna & Rob Hunter took Keith Champagne's superb script and elevated it a thousand-fold. The artwork, its layouts and the balance of dark over light add to the element of fear. I really love that the team can produce vibrant pages embodying hope and then when the script demands it, shake us with its darkness. 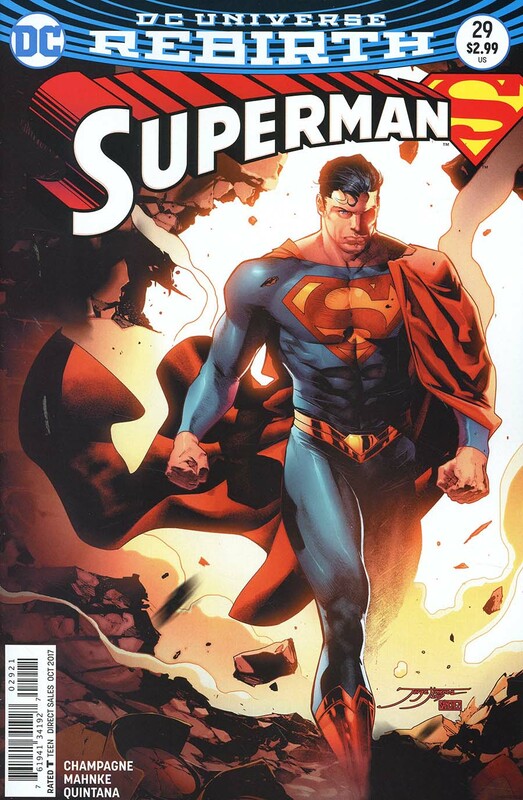 Cover Art - 4: I like the cover, it makes Superman seem willing unlike the story within, but it still looks stunning. I am not sure it needed the Yellow Lantern oath to be emblazoned over Sook's art. In my opinion the text serves as a distraction but Sook has created a really strong image. Variant Cover Art - 5: This issues Jorge Jimenez variant leans towards a more realistic look. It is a change to his usual style and though it is a little different it still suits the story. I like the image, there is a determination to the line work and a confidence to the composition.